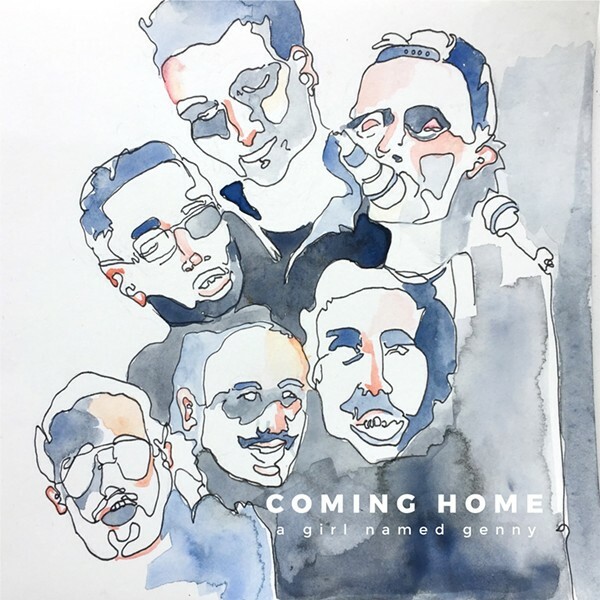 A Girl Named Genny's first full-length album, "Coming Home," feels a lot like getting behind the wheel on the first spring day. It's a joyride. Shifting between bluegrass, Southern rock, folk, and everything in between, the album is like taking a twisting backroad, jumping from scene to familiar scene. No matter where the songs take you, there's something warm about the album that evokes the feeling of a family reunion. Textured with banjo, fiddle, upright bass, and a surplus of harmonies, the album has layers that could only be noticed on a second, third, even fourth listen. On tracks like "Annabell," which is starkly arranged, the rich three-part harmonies become their own instruments. From a boozy, sun-soaked toe-tapper or a banjo rager to an ominous gospel tune for modern times, each track is brimming with Americana spirit. All 12 tracks draw on stories of people who are down on their luck, whether stuck in the prison system, wayward at war, or broken-hearted. In an age when attention spans are shorter and radio singles are more common than LPs, this album defies the nature of reality, and it's well worth sticking through to the end, maybe in a backyard somewhere and with a couple of Cream Ales.